Every character in the upcoming Super Smash Bros. will have eight difference variations of color to their outfit. Some completely change the character’s shape and gender, and others are just there because Nintendo needs to have multiple colors. The clever ones, like Little Mac’s wire-frame costume, appeal to the character’s context in history, and that is exactly what Director Masahiro Sakurai has in mind for Metroid’s legendary bounty hunter, Samus Aran. While the color variations he has chosen might not look all that impressive out of context, each of them represents a different armor she has worn at different times throughout the franchise’s history. Sakurai explains on his Miiverse page. Until now, you were only able to choose from four, or sometimes five or six colors for each character. This time, though, all characters have eight colors to choose from! 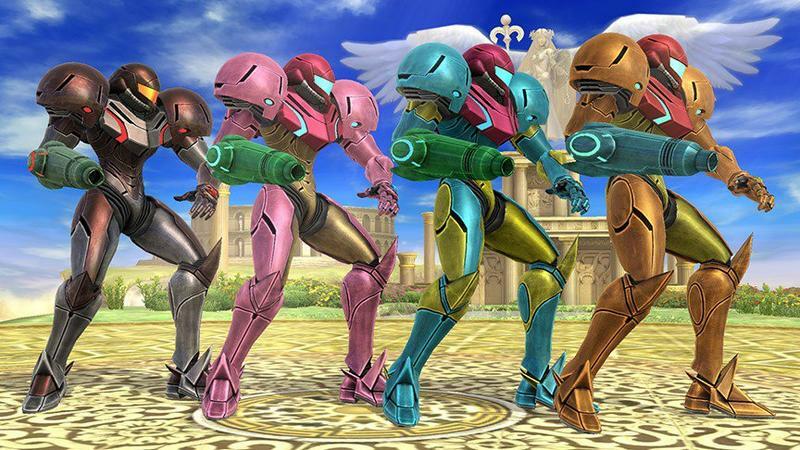 The first four color schemes for Samus are based off her Varia Suit, Fusion Suit, Gravity Suit from Super Metroid, and the Dark Suit. 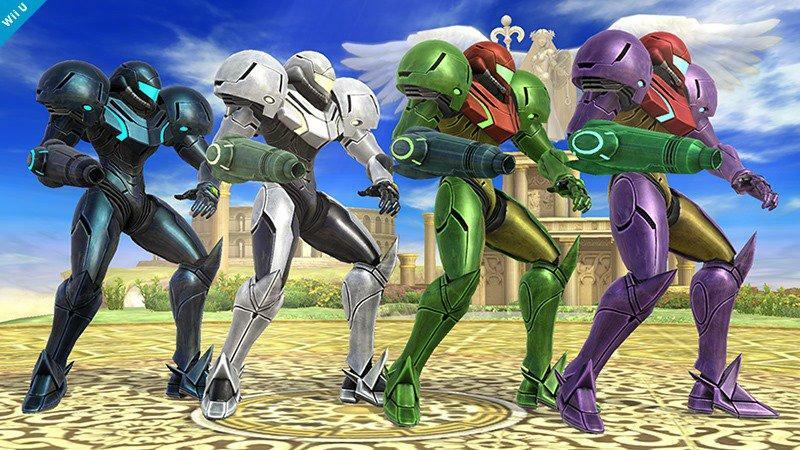 And here she is in the color schemes of the Gravity Suit from Metroid Prime, Green Samus (a regular in the Smash series), the Light Suit, and Dark Samus. A total of eight colors. Ah yes, I always thought that Gravity Suit from Super Metroid had that tint of pink to its arms back when it was just a 16-bit sprite. Now I’m just glad that my eyes and brain haven’t been deceiving me all these years. Joining Samus in the announcement is also the Animal Crossing Villager. 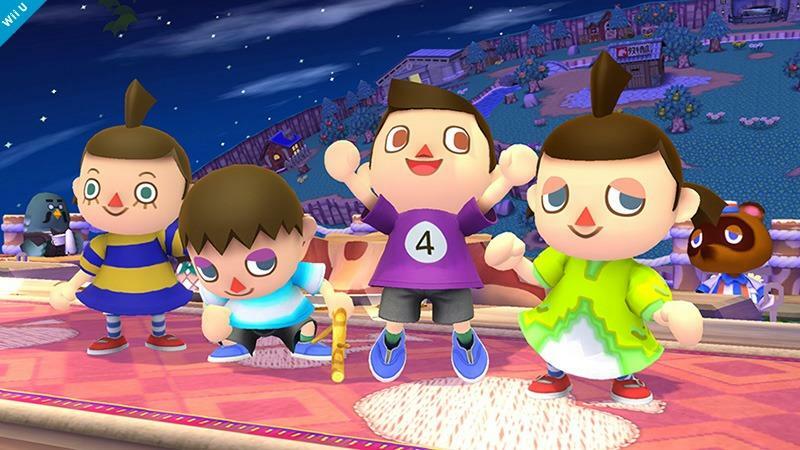 Nintendo has marketed the main Villager up to this point in trailers and official, similar to the default build for Commander Shepard or the Dragonborn, but in actuality, Super Smash Bros. features four male and four female versions of the character. You can choose between four male and four female Villagers to play with. The designs for their faces and clothes are different. And here are the four Villagers we haven’t shown you yet. Hilarious! Why are they all so sleepy? Don’t they know they have rival Nintendo characters to thrash? Super Smash Bros. will be released on the Nintendo 3DS on October 3rd. The Wii U version will be released sometime this holiday season.